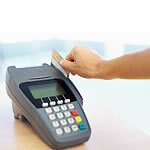 Credit and debit cards are popular, convenient, flexible, and have become increasingly important in businesses today. 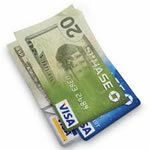 Accepting credit and debit cards can help grow your sales as well as your business. Adding credit and debit card processing is an important asset to your business, big or small, and offers convenience to your customers. CTI makes it easy to increase profits at the lowest price guaranteed, when you bundle your credit card processing with our value-added services for the best rates in the industry. 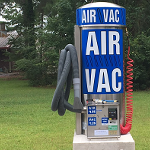 Drive-up tire inflation stations and auto vacuums are incredible traffic building tools, that no petroleum station should be without. These services provide a complete experience for your customers. Our air and air/vac placements are powerhouse income generators. CTI maintains the machine at no expense to the vendor and share profits based on the usage of the machine. CTI also can brand your store logo or promote specific products on machines placed at your business. This increases visibility and serves as an extremely cost effective advertising medium. With a CTI air/vac placement you will notice an increase in profits, generate more repeat business, and satisfy your customers needs. Easy bill pay gives your customers the convenience of paying their bills using cash at your business with same-day processing. Easy bill pay gives your customers the full service experience and allows for them to pay utility, cable, satellite TV providers, national and regional telecomm companies, retail store, financial service billers, and auto financing. Prepaid and re-loadable cards are becoming more popular because of the benefits they offer, without the headaches associated with credit cards. Prepaid cards have become the most convenient and secure alternative to cash and travelers checks, and offer many reasons to take advantage. Re-loadable Visa branded cards make it easy to pay bills, shop and save money, and makes it stress free without worrying about overages and fees. Prepaid Cards means customers will have the convenience of reloading and buying gift cards from your business and you will make extra income from each transaction made. Got plans for your business? We’ve got the money! Did you know you can leverage your future credit card sales into working capital and get $25,000, $50,000, $100,000, or more in 5-10 days? Capital Advance offers you an alternative to traditional bank loans, with no fixed monthly payment, no restrictions to how you use your money, no collateral, no borrowing from banks, no loan applications, or fees, no cost to apply, and high approval rates! We know every business is different. 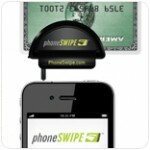 No matter what type of business you have, Phone swipe is the perfect mobile payment processing solution for you. Unlike other mobile processing companies, we set up each business with it’s own merchant account. Each account is unique, providing you with the best rates, plus the highest level of security for your customers and your business. CTI offers 24/7 support from trained staff who will guide you through any questions you may have regarding your account, app, or card reader. Phone swipe offers the lowest rates, FREE app, FREE terminal, advanced fraud protection, real-time reporting, discount, gratuity, and tax option. 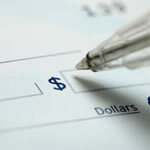 You will have the convenience of emailing receipts, and customized inventory for branding your business. 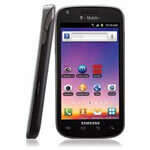 Make your smartphone or tablet as mobile as you are !! Growth in the prepaid wireless market is staggering. Our system will allow you to tap into this tremendous opportunity. By partnering with CTI you will be able to service a whole new spectrum of clients. CTI is backed by leading carriers across the nation that share our values. 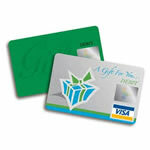 Today people want the freedom and flexibility that prepaid offers. Our comprehensive POS and marketing tools attract new customers and keep existing clients coming back for more As a retailer, you have full support from start to finish. Our prepaid terminal is plug-and-play, giving you immediate access to dozens of products your customer needs. Join the prepaid revolution with CTI leading the way and customer satisfaction our main goal.